Mexico is a tourist’s paradise: the beautiful beaches in Acapulco and Cancun are starkly contrasted by the ancient civilizations. Its national identity is reflected by the heritage of its native peoples, their colourful art, languages and festivals; the most famous Mexican festival being The Day of the Dead. The country is positioned in North America, and it is bordered by Belize, Guatemala, the United States, and the Gulf of Mexico, Caribbean Sea and Pacific Ocean. The population of Mexico is over 110 million people. A staggering 95 percent of the population is Christian where only 8 percent are Protestant and the biggest denomination is Roman Catholicism, about 80 percent. However, this is significantly different from European Catholicism as it is a hybrid of Roman Catholic traditions and the local religious practices from the Native American ancestry, worshipping idols etc. Church Mobilizing: OM Mexico is dedicated to mobilize churches and people for missions. We want to see the local church go out of their buildings and reach the people around them and also send missionaries to the ends of the earth. Justice: OM Mexico is running a project called “Shattered Dreams” that seeks to assist in the central detention centre in Mexico City by screening immigrants detained there in order to determine whether they are actually human trafficking victims. GIVE — Give here (http://www.om.org/en/give) to help support the work of OM in Mexico. Population: 110, 645,154 Annual Growth: 0.99% Area: 1, 958,201 sq km Capital: Mexico City. State of Economy: Mexico's $1.3 trillion economy has become increasingly oriented toward manufacturing in the 21 years since the North American Free Trade Agreement (NAFTA) entered into force. Per capita income is roughly one-third that of the US, but remains highly unequal. Mexico has become the United States' second-largest export market and third-largest source of imports. Over the medium-term, the economy is vulnerable to global economic pressures, such as lower external demand, rising interest rates, and low oil prices - approximately 30% of government revenue comes from the state-owned oil company, PEMEX. The increasing integration of supply chains, development of the energy sector, and government-to-government focus on trade facilitation will continue to make the North American region increasingly competitive and contribute to Mexican economic development and strength (CIA World Factbook; 2015). State of the church: Increasing freedom for ministry continues, a contrast from the oppressive Catholic monopoly of decades past. Even the government – municipal, state and national levels – is more open to evangelical work as a counter to the seemingly unsolvable problems of gangs, drug trafficking, kidnappings and violence. Coatzacoalcos, Mexico :: A village gets its first library, with books and shelves donated by Logos Hope. 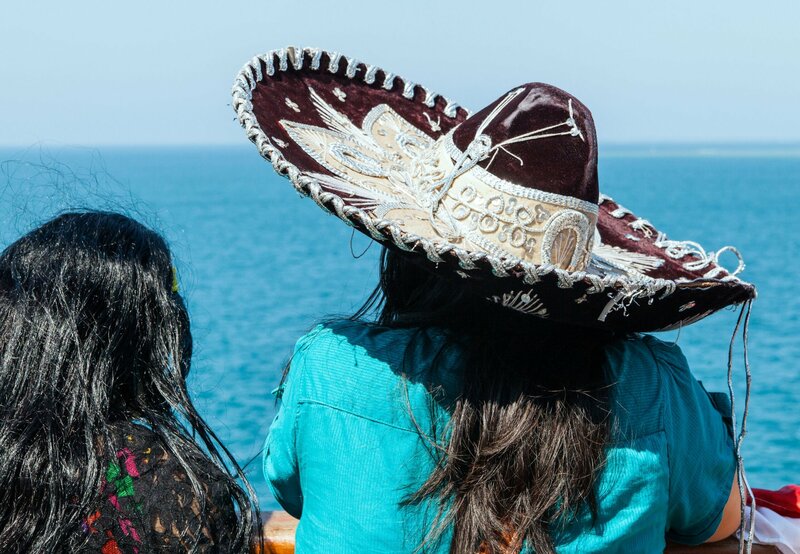 Progreso, Mexico :: A stalwart captain who's served on all four vessels reflects on 38 years of incredible experiences for his family at sea.